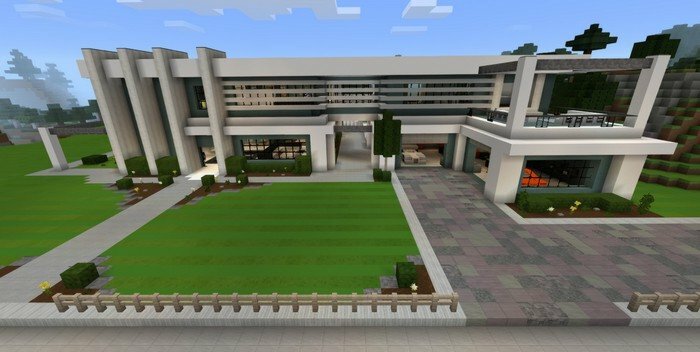 This map recreates a modern mansion in Minecraft PE, allowing you to live in the house of dreams. The house is big, it has a few bedrooms, a kitchen, bathroom, guestroom and also a pool and garage on its territory. At first, I used to install the map as it was in original, but then I realized that it can look much better with appropriate resource pack and I was right. 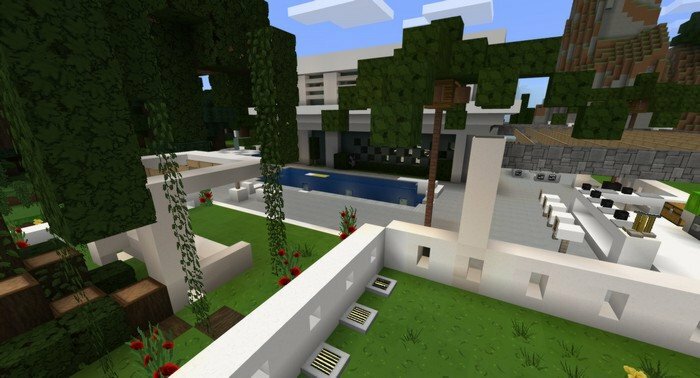 Look at the pictures below and feel the difference, you'll be able to find a link to the modern resource pack in the article. 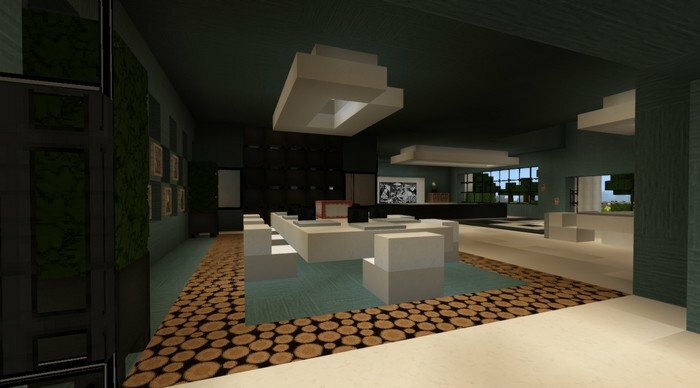 As you can see above, by using resource pack we have much better picture, but keep in mind that it may take a few minutes to load this beauty. Be aware that, if you have not a very high-end device - it may also cause drop in performance.